The New York Yankees really needed to come out and make a statement here in this series with the Minnesota Twins and I am not entirely sure that one can say that definitively. The Yankees can go a long way to getting back on track with a victory tonight in the finale but the Twins are a team that New York has owned over the years. A sweep would have been ideal, how sweep it would have been, as the losses continue to pile on but the great thing about baseball is that every day is a new day. Every game is a new game. Every series is a new series. Let’s end this series on a high note and let it flow into the next series, that’s all you can do. In the finale today the Yankees will send Jordan Montgomery to the mound to square off with the Twins starter Jose Berrios. Montgomery was not sharp during his last start against the Boston Red Sox allowing a two-run home run and a third run in just four innings of work inside Fenway Park. That game marked the first time in the lefty’s short MLB career that he failed to complete five innings in consecutive games. Growing pains. Berrios wasn’t long for his last start either lasting just 1.2 innings against the Houston Astros. In the start Berrios allowed a whopping seven runs, although just two of them were earned, on four hits raiding his ERA substantially. 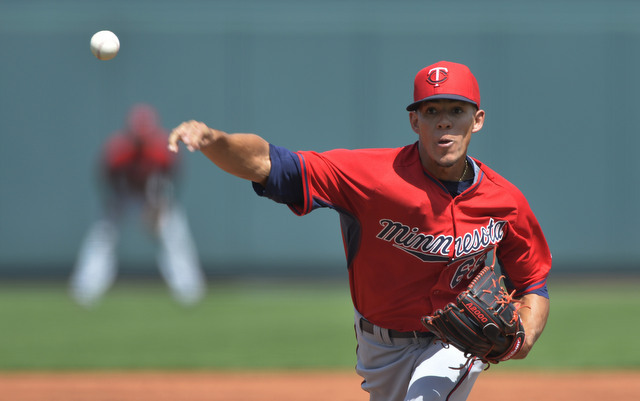 In Berrios’ last four starts the Twins pitcher has allowed 20 runs, 14 of them earned, in a total of 19 innings. Ouch. The game will be played at 1:10 pm ET inside Target Field in Minnesota and can be seen on the YES Network and MLB TV. You can also follow along at work like I will be this afternoon, in your cars and on the radio by tuning into the WFAN broadcast with John Sterling and Suzyn Waldman. Enjoy the game Yankees family and as always, Go Yankees! !